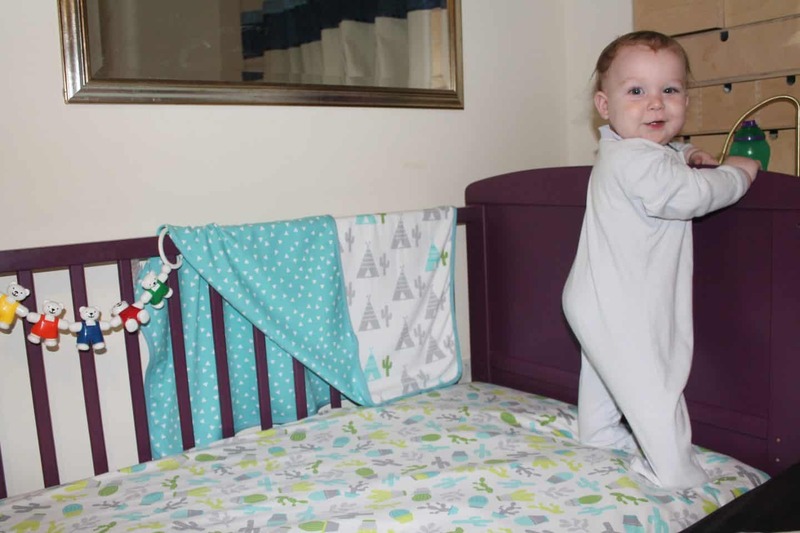 I absolutely loved having a Snuzpod next to the bed, it was stylish and neat and when Arlo grew out of it I wasn’t sure what to do as he wasn’t ready to go into his own cot in his sisters room! We made the decision to put her into a mid-sleeper and use her cot bed with one side removed up against our bed. It looks messy and U cant fit the hoover round it but it means Arlo is still close. 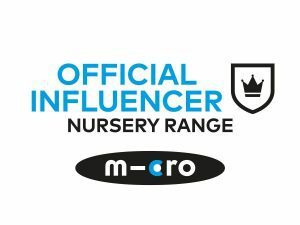 Excitingly though Snuz have just launched their ‘Designz’ range of stylish bedding which means although the cot isn’t as sleek as a Snuzpod Arlo’s bedding can be! 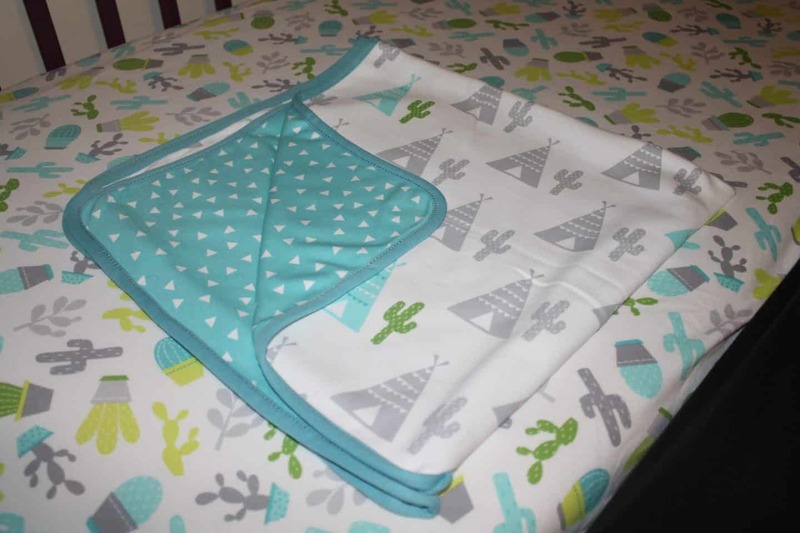 Available in a variety of sizes to fit prams/moses baskets/cot beds, and complimented with a matching reversible blanket there are three styles to choose from, each with two designs. Arlo is safely snoozing under the ‘Rootin tootin’ style which is a mix of cacti print, wigwams and geo triangles with turquoise and yellow hues. I absolutely love it! We took the blanket away on holiday with us and it really brightened up the all-white bedding at our chalet too! As well as this style there is ‘Little Tweets’, decorated in pink birds and trees and ‘Cloud Nine’, a neutral design of clouds and stars in a very on trend grey and yellow. I’ve washed the sheet a couple of times now and it’s kept it’s freshness, no bobbling and no shrinking either! Made from 100% cotton it’s perfect from newborn upwards. Prices start at £16.95 for a pack of two sheets, and I think the blankets would make a wonderful new baby present, one that can be used for years to come too! Another reason to love The Little Green Sheep, the company behind Snuz is that they donate 5% of their profits to the Lullaby Trust each year! Here’s our review of the Snuzpod bedside crib, oh how I wish I could have another baby that small! We were sent a blanket and sheet for for the purpose of this review, all opinions and words are my own.